Nikon just released a new version for their Camera Control Pro 2 software. Support for the D5200 has been added. 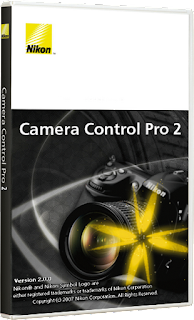 When the focus area displayed in the Camera Control Pro 2 live view window is double-clicked with autofocusing in live view mode, the camera will now focus automatically. However, the camera will not focus automatically with the following cameras when Hand-held is selected for Live view mode: D3-series cameras, D700, and D300-series cameras. Compatibility with 32- and 64-bit versions of Windows 8, Windows 8 Pro, and Windows 8 Enterprise has been added. However, under 64-bit versions, this software operates as a 32-bit application. Support for OS X version 10.8 has been added. Support for Mac OS X version 10.5 has been eliminated.